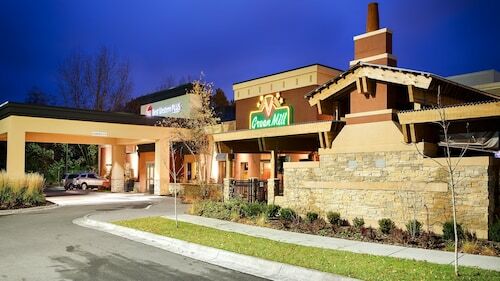 Situated in Shoreview, this hotel is 4.5 mi (7.2 km) from National Sports Center and within 12 mi (20 km) of University of Minnesota-St. Paul and Tamarack Nature Center. National American University - Roseville and Minnesota State Fairgrounds are also within 12 mi (20 km). Located in the business district, this family-friendly hotel is within 9 mi (15 km) of Minnesota State Fairgrounds, Como Park Zoo and Conservatory, and Tamarack Nature Center. Maplewood Mall and University of Minnesota-St. Paul are also within 9 mi (15 km). 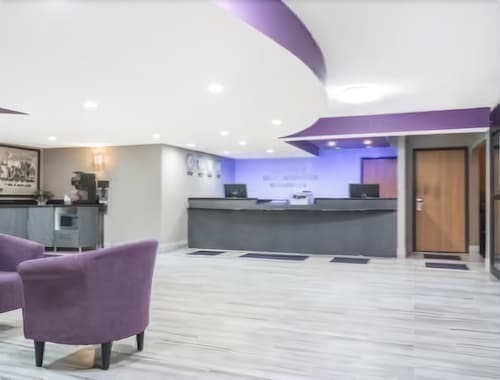 Situated in Shoreview, this hotel is within 9 mi (15 km) of Minnesota State Fairgrounds, University of Minnesota-St. Paul, and Como Park Zoo and Conservatory. Maplewood Mall and Hamline University are also within 9 mi (15 km). 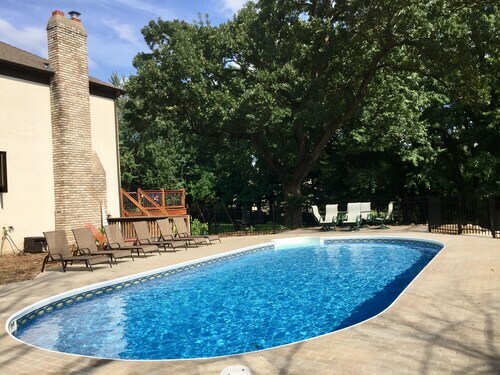 Set in Shoreview, this family-friendly vacation home is within 12 mi (20 km) of Tamarack Nature Center, Como Park Zoo and Conservatory, and Maplewood Mall. University of Minnesota-St. Paul and Keller Golf Course are also within 12 mi (20 km). How Much is a Hotel Room in Shoreview? 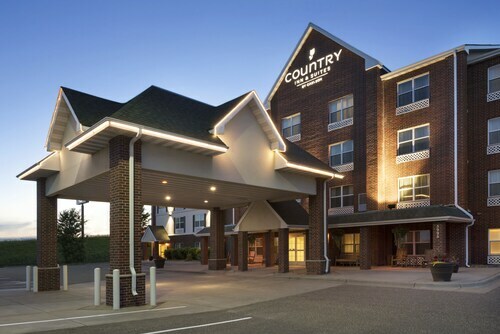 Hotels in Shoreview start at $93 per night. Prices and availability subject to change. Additional terms may apply. When you are searching for flexible places to stay in Shoreview, you'll have no shortage of options. If you are after accommodation within a 6-mile (10-kilometer) distance of Shoreview's downtown region, our up-to-the-minute database contains at least 21 accommodation options in that area. Discover the sights next to the heart of Shoreview. Accommodations located in this area include Best Western Plus St. Paul North/Shoreview and Hilton Garden Inn Minneapolis St. Paul-Shoreview. You should check out the Hotel Ivy, a Luxury Collection Hotel, Minneapolis as well as the Residence Inn By Marriott Minneapolis Downtown. The Hotel Ivy, a Luxury Collection Hotel, Minneapolis is located only 10 miles (17 kilometers) from the main part of Shoreview. The Residence Inn By Marriott Minneapolis Downtown, is just 10 miles (16 kilometers) away. Alternatively, you may like to make a booking at the The Saint Paul Hotel or the Loews Minneapolis Hotel. 10 miles (15 kilometers) from Shoreview, you will reach St. Paul, home to University of St. Thomas and Hamline University. 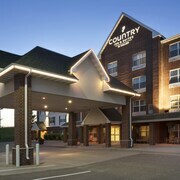 When you want to get to St. Paul, be sure to check out the Holiday Inn St. Paul Downtown and Embassy Suites - St. Paul. 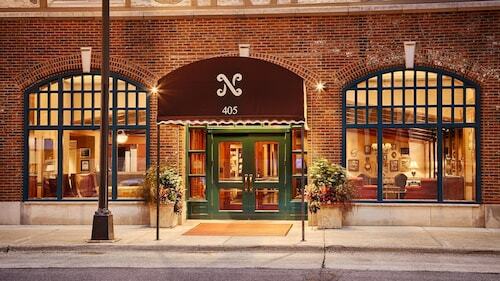 Alternatively, you could stay in Hastings, 30 miles (47 kilometers) southeast of Shoreview, where you have the options of the Nichols Inn of Hastings and Val U Stay Inn and Suites. The Alexis Bailly Vineyard and Carpenter St. Croix Valley Nature Center are more frequented attractions to experience in Hastings. Just because you and your family are traveling, who says you can't fuel your love for sport. Discover Xcel Energy Center 10 miles (16 kilometers) to the south of Shoreview. Any sports fans that wish to find accommodation options near to the sporting action should read about the InterContinental Saint Paul Riverfront or the DoubleTree by Hilton Hotel St. Paul Downtown. For the modern traveler flying through Minneapolis - St. Paul International Airport, you might like to book a Travelocity-listed room at Radisson Blu Mall of America, or Embassy Suites by Hilton Minneapolis Airport, each of which are a short ride away. Very nice staff and site. Room could have been a bit larger. No clock in room. There was a lot of partying going on near us and kept us awake.